1. I got my Broadway fix on Saturday with a trip to Waitress! I’ve wanted to see Waitress for awhile, so when I found out it was coming to Chicago, I made it a priority to get tickets. One of my coworkers is very into Broadway and called me during the middle of last week specifically to tell me she went to Waitress, that it was amazing, and that I must go. I already had tickets to the show, but that made me even more excited! I thought it was a great musical. It was a lot funnier than I expected (though it certainly has its emotional moments, too), and the cast did a fantastic job. You know who else did a fantastic job? Eli’s Cheesecake (yes, really). Pies are a big theme throughout Waitress, and to play off that theme, the concessions at the theater included a package that included one itty bitty blueberry pie and one itty bitty strawberry pie for $6. I had to get one, obviously, and they were SO GOOD. I also loved that there were made by Eli’s! I don’t really associate pie with Eli’s, but I loved that a local company made the pies. It was such a fun touch! 2. It’s been awhile since I’ve updated you all on my garden, and I have much to share. When we last left off, my garden had been ransacked by squirrels out for (plant) blood. My begonias were eaten, my Virginia Bluebell chewed down to the roots, and my phlox completely gone. I was less than pleased, to say the least. A few weeks later, I noticed that nearly everything had started to grow back! Take that, squirrels! You won the battle, BUT I WON THE WAR. I mean, look at these before and afters! My regrown Virginia Bluebell has definitely seen better days, but according to Google, this is normal summertime behavior for Virginia Bluebells and not a cause for concern. I wish I had looked that up before right now, because now I’m concerned I may have overwatered it in an effort to bring it back to life. I guess I’ll find out next spring! My other native plants–the sedge in particular–have been thriving. One of my phlox plants didn’t survive the squirrel rampage, but the other did and has grown back nicely. I thought only one of my Jack-in-the-Pulpits was growing, but when I checked in on them on Monday, the one on the left side of the garden had absolutely shot up out of nowhere, so I guess it must be doing all right. I’ve kept my weeding to a bare minimum in the native plant bathtub, mostly because I’m not sure what’s a weed and what’s something I intended to plant. As I’ve started to become more pro-native planting, I’ve also started to become more anti-weeding. I want the bathtub to grow whatever Illinois wants it to grow (so long as what Illinois wants it to grow isn’t invasive, which is admittedly my problem with this: I don’t know what’s invasive and what’s not), so by and large, I’m letting it sit and do its own thing. As for the Great Squirrel War of 2018, the squirrels opened up a new front either last week or the week before, launching an assault on my tomato plant. My tomato plant has produced nine tomatoes thus far (I planted a more mature plant a month earlier than last year, hence why I’ve gotten tomatoes so much earlier this year compared to last), and the squirrels thus far have claimed four of those tomatoes as their own. I caught one red pawed (well, green pawed, technically) in the act on Sunday, and went out to my patio to give it a VERY stern talking to. It didn’t come back again until Tuesday, and even then only finished eating the tomato it had already taken off the plant and left behind (at least, I assume it was the squirrel – the tomato was gone on Tuesday, regardless), so I think I made my point. I’ve also started harvesting my tomatoes as soon as they start blushing rather than allowing them to ripen fully on the vine in an effort to get to them before the squirrels do (though the squirrels seem to have little concern for the ripeness of the tomato). So far, I’ve managed to get two. It’s a good thing I don’t do this because I actually need tomatoes! I’ve been fairly unimpressed/slightly concerned about my plant’s fruit production this year. It’s put forth dozens and dozens of buds, but barely any of those have actually turned into fruit. I don’t know why so many buds are dying without becoming tomatoes: is it the weather? Is it the size of the pot I planted it in? Have I been too lazy about watering/feeding it? 3. I’ve done it again! 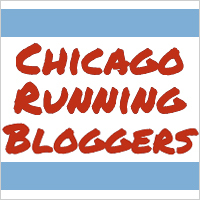 I have, for the I’ve-lost-count-th time in a row, successfully convinced the Chicago Marathon to put me in Corral G, this time by merely updating my expected finish time to fit within Corral G’s parameters and sending a just-in-case email to the start corral account, noting that I had updated my expected finish time. You’d think by now I’d be used to this, but it continues to BLOW. MY. MIND. how little the marathon seems to care what anyone does as far as non-Wave 1 corrals go. They make SUCH a big deal about the strictness of the corrals in Wave 1, how even if you are one second off the qualifying time, you don’t get in, how you have to prove your worthiness to run in Wave 1, but then for Waves 2 and 3, it’s like a free for all. Just tell us where you want to run and we’ll make it happen if we still have room, regardless of if you have any business being in that corral or not! You want to walk the entire marathon but start in Corral F? That’s fine – tell us you’re going to finish in under four hours, and we’ll put you there anyway. I suppose the effort of verifying that all 45,000ish runners “should” be in the corral they request is not worth it, and might even be impossible–some people do run their first race ever as the marathon, after all–but it’s still crazy to me that everything seems so strict and regimented and This is an Abbott World Marathon Major and Will be Treated as Such, but you as long as you’re not expecting to run the marathon in under 3:45, you can be in whatever corral strikes your fancy. Thoughts on squirrel deterrents? I am, once again, all ears. I see they made Wave 1 even harder to get into this year. Probably because of schmoes like me who got to start in Corral D but finished in 4:13, haha. I had a friend last year who used her 1:46 half to get bumped up to Corral D with me – this year that time wouldn’t even get her into Wave 1 at all! I wonder if there are so many people who don’t even bother to challenge their corral assignment that they’re willing to be more lax with people in the 2nd and 3rd waves who want to move up; after all, if everyone knew what you knew and said they wanted to move up, they couldn’t be so lax because there would be no one left for the later corrals! Gah! I thought I had responded to this already. So sorry! Anyway, I didn’t realize they had made Wave 1 more competitive. I’d really like to know more about what goes into determining those standards. Like did a third of the field register with proof they can run a 1:45 or faster half, so that’s the cutoff? Or do they just make it more competitive for the sake of making it more competitive? It’d be interesting to analyze the race results to see how the field shakes out – if a third of the participants really are running fast enough to be in Wave 1, or if it’s all just arbitrary. When I started running the race in 2013, you needed a 2:05 half to make Wave 1! Even I could get into Wave 1 with that cutoff! It’s insane that they’ve taken 20 minutes off the qualifying half time in five years.